Join my free money making course. Crowned the UK's Best Money Making Blogger for the past 3 years, join my free 6 week money making course to learn about tried and tested side hustles to make you more money. Signing up means you will also be signed up to my newsletter - unsubscribe at any time. 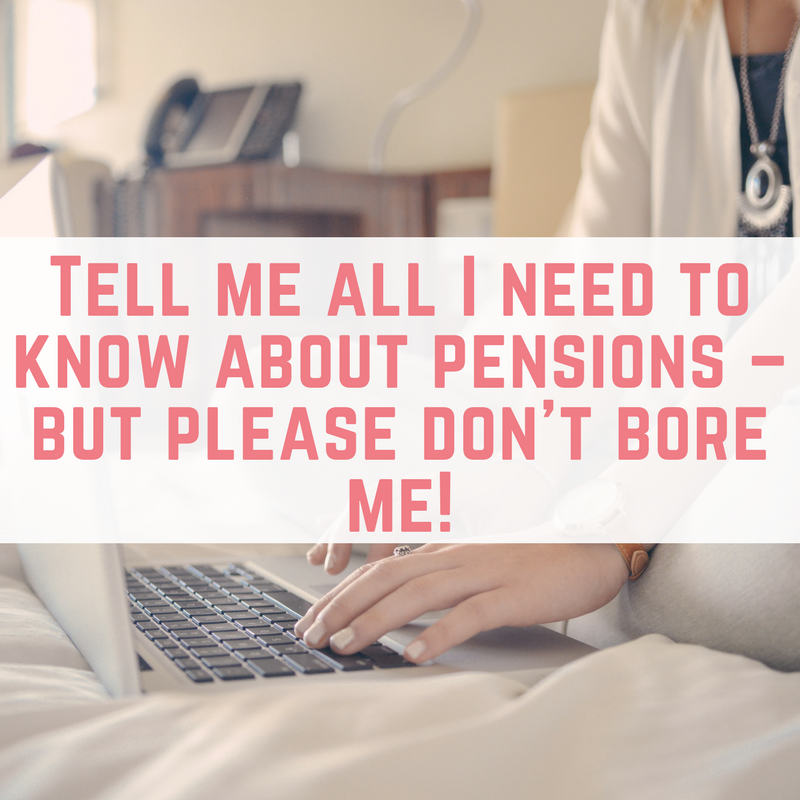 Tell me all I need to know about pensions – but please don’t bore me! Check out my list of free money offers with over £200 to be made. This is a guest post from Warren Shute CFP, a Chartered Wealth Manager and CISI Financial Planner of the Year. You can find him over at WarrenShute.com. 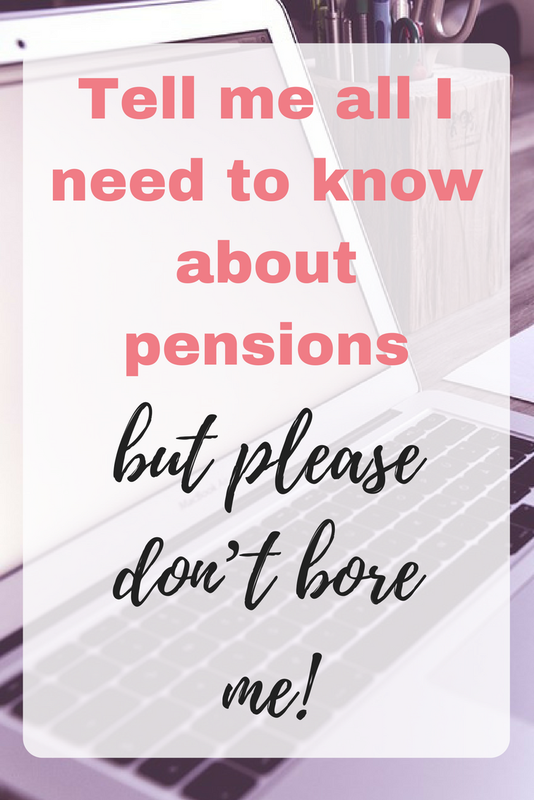 Do you find pensions boring? They don’t need to be! Below is a summary of the main questions I get asked about pensions, I think you’ll find it easy to follow and make them less complex! It’s worth a 5-minute read. What is a pension? They seem so complex! In a nutshell, a pension is a tax efficient, which means you save tax, savings plan which can only be accessed at your retirement age. This is when you can get access to the pension pot, it is normally stated in the scheme rules, but it’s not before age 55 and for defined benefit pensions, it can be as late as 67! Are there different types of pension? Yes, there are many different types but the main two are; Defined Benefit (also called a Final Salary) and Defined Contribution (also called a Personal Pension). So, a Defined Benefit pension is the same as a Final Salary pension and a Defined Contribution pension is the same as a Personal Pension. Here’s a little more detail about each. Defined Benefit means your pension income at retirement is defined (calculated) based on your years of membership in the scheme, your pensionable salary and the accrual rate! These are only offered by large employers. If you started with your employer at 18, but joined the pension at 21 and you are now 45, you would have 24 years membership in the scheme (age 21 to age 45). You may earn £21,000 basic salary, have a bonus of £2,000 and get overtime of £1,000 in a year, but the pension rules will define your ‘pensionable salary’. Pensionable salary could be anything but a common definition is ‘basic salary’, in this case your pension will be calculated only on the £21,000 and the bonus and overtime would be ignored for the pension calculation. This is how quickly to you accrue or gain pension benefits. Let me explain further, there are two main accrual rates 80th and 60th (there are plenty of other options as well, but these are the main two). An 80th pension scheme (normally the NHS, Teachers or Local Government scheme) would mean you would accrue or earn 1/80th (or 0.0125) of your pensionable income as a pension at retirement, for each year of membership in the scheme. A 60th pension scheme would mean you would accrue or earn 1/60th (or 0.0167) of your pensionable income as a pension at retirement, for each year of membership in the scheme. Let me show you an example, using the information above. You have been a member of the pension scheme for 24 years and let’s assume you’re in a 1/60th scheme and you have £21,000 pensionable salary. This is how much you have accrued (or earnt) so far. Each additional year you remain in the scheme, you earn a further 1/60th or £350 pa (1/60 X £21,000) of pension. Can I tax a lump sum? Your pension will either pay you a tax-free cash lump sum in addition to the pension you have earnt, however this is normally only the case with an 80th pension scheme. If the tax-free lump sum is not paid in addition, you can ‘give-up’ some of the pension you have earnt, be paid a reduced pension and take a tax-free lump sum in addition; limits will apply on how much you can give up and it’s best you allow your pension administrator to do the calculation for you. When can I access the money? You can be paid the pension from your normal retirement age, which is defined in the pension scheme rules; the pension administrator can tell you when this is. 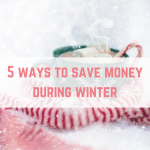 However, you can normally access the pension earlier than this date, but you will normally pay a penalty on the money, so the pension will be reduced because you will receive the pension income for more years than they had expected. So, the earlier you take the pension, the larger the penalty. You can’t normally take it before the age of 55. What tax do I pay? When you retire you can normally take the tax-free lump sum ‘tax-free’ and the pension which is normally paid monthly, will be paid to you after the deduction of tax, if this is applicable to you. What happens to the pension if I leave the employment? If you leave the employer, you will leave the scheme, any benefits you have accrued (or earnt) will be safe and will normally increase in line with inflation until your normal retirement date. What happens to my pension when I die? The death benefits with a defined benefit pension are called ‘dependents benefits’ because usually a pension of approximately 50% or half is payable to a spouse or partner and a further pension is payable to any dependent children. 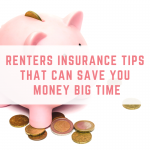 However, the rules surrounding this can be complex and varied, so if this affects you, check with the scheme administrator. If you have no dependents, the scheme will end with you. 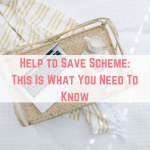 How safe is the scheme? There are two things to consider. The pension you receive at retirement will not be directly affected by the stock market movements or economic changes i.e. a recession so in this instance it’s safe and that’s a big benefit of a defined benefit pension. However, if your employer were to be wound-up or go insolvent it’s likely the scheme will close and it will be transferred to the Pensions Protection Fund (PPF). If this happens to you before your normal retirement date then 90% of your pension is protected, but unfortunately, 10% would be lost. 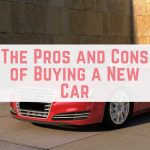 There are other differences but these are beyond the scope of this blog, you can find more information here. I hope this helps you understand your defined benefit pension more, please let me know any other questions you have which I did not cover. Now, let’s look at defined contribution pensions. Defined Contribution means your pension benefit is defined by the level of your contributions, and ultimately the fund value, at your retirement date. Your contributions plus the investment growth = your fund value. If you are employed and have been auto-enrolled into a Work Place Pension, it’s very likely the Work Place Pension is a defined contribution pension. Can I take a lump sum? You can take 25% or ¼ of your pension fund tax-free at your retirement age, the remaining 75% or ¾ will be used to pay you an income, which is taxable. You can access your pension any time from age 55. When you retire your tax-free lump-sum is paid ‘tax-free’ and the pension which is normally paid monthly, will be paid to you after the deduction of tax, if applicable. What happens if I leave my employer? If your defined contribution pension is linked to an employer, for example a Work Place Pension through auto-enrolment, then you can sometimes continue to pay into it yourself, other times you will need to start a new pension. You will need to ask the pension provider. If you die before you are age 75 then the full value of the pension will pass to your beneficiaries, normally tax free. If you are aged 75 or older, they will receive the fund less income tax. However, what is important is that you nominate someone, please ensure you have completed a nomination form, which tells the pension administrator who they should pay the money to in the event of your death. Your pension is effected by the changes in the stock market or investments you hold, so you may see it rise and fall depending on the market movements. However, if your pension provider become insolvent, and you have an insured pension i.e. via an insurance company, then the pension fund value is protected by the Financial Services Compensation Scheme (FSCS) up to 100% of the value of the pension at the time of insolvency. This may not be the case with a SIPP or self-managed arrangement. So, there you have it, the basic ins and outs of pensions – did you make it without falling asleep! If you have any questions, please let me know. This simple trick helped us to clear £15,000 worth of credit card debt. 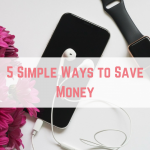 Simply take your savings goal and divide it by 100 to get your 1% at a time. Once you have saved or earned 1%, cross it off. Download this free printable to keep you on track. 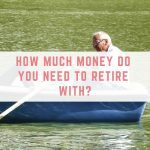 How much money do you need to retire with? Crowned the UK's Best Money Making Blogger for the past 3 years, come and join my free 6 week email course to find out tried and tested ways to earn extra money. Get exclusive access to the Money Making Mastermind Facebook group with over 2,500 members. 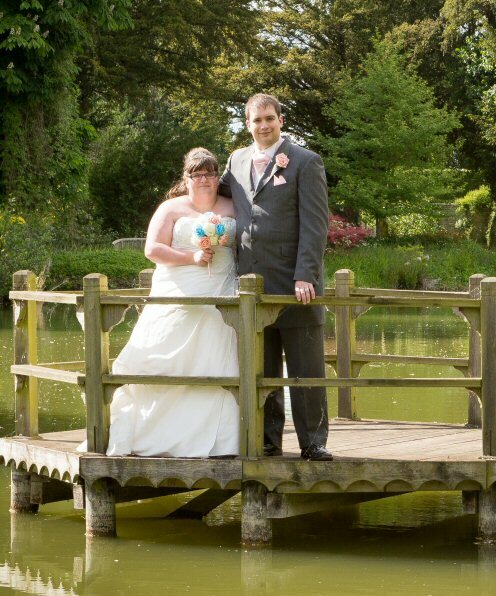 When you sign up you will also be sent a regular newsletter and special offers including third party offers. Unsubscribe at any time. EmmaDrew.Info uses affiliate links. 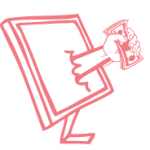 Affiliate links means that sometimes if you click through to a website and register or purchase something, I get a commission from that sale at no extra cost to you. All opinions and reviews are my own.